Create your own web hosting business with our Complete White Label Master Reseller Solution. 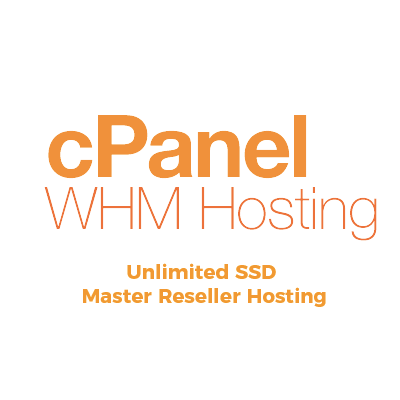 Create Unlimited cPanel/WHM accounts with this Master Reseller account from DigitalFuture. Managing your Reseller’s has never been easier with WHMAMP WHM plugin. WHMAMP is a control panel developed for creating all types of resellers accounts from cPanel all the way up to Super Alpha accounts. All our Servers are monitored 24/7 to guarantee your site stays online. Full DDOS Protection & AutoSSL for all of your domains means your websites have never been better protected! With a great Website Builder and 100's of 1-click scripts, you can launch your website in just a few clicks. All our Master Reseller hosting accounts are powered by the latest Intel Xeon processors & blazing fast storage ensuring speedy load times. Completely own brandable, add your business logo and brand to your control panel.